Suntan cream, the highest SPF and UVA rating as you can (minimum SPF30), these are not always found in the most expensive brands to its worth looking around (we’ve discovered ASDA own brand in SPF50 with 5 star UVA). Check the use by date too, it’s often only 12 months from opening. Remember to apply frequently! The over 1’s but under 5’s are a fantastic bunch to explore the garden with, and the great outdoors in general. That bit more confident on their feet and better able to communicate and understand what’s going on around them, toddlers have a great time in the spring and summer. 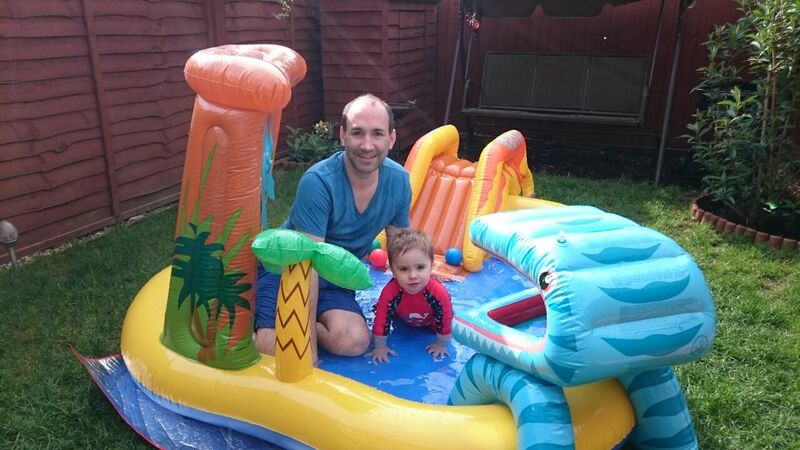 Once again the trusty sandpit and paddling pool come into force, Nathan now has a bigger paddling pool but Leyton has an inflatable water park! 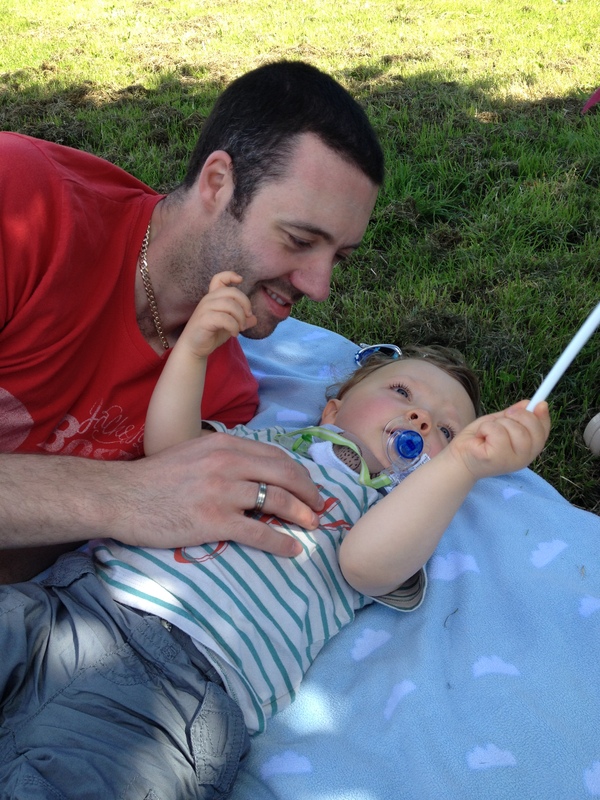 Our lawn is frequently covered in the multitude of garden toys Nathan has acquired…seesaw, car, quadbike, water-table, playhouse, tunnel, pop-up tent, basketball hoop along with various sports balls, beanbags and cars. A greater sense of independence and adventure means that you can expand your sensory and messy play with toddlers, painting is just the tip of the iceberg! Do you have room for a mud kitchen? Then there is the topic of venturing out of the garden on a sunny day, we very often like to go to the local park or for a walk on a sunny day. We live a long way from a beach but when we do go it’s great fun (until a wave knocks you over!) We also enjoy packing our bags for a picnic at a farm, stately home or gardens. 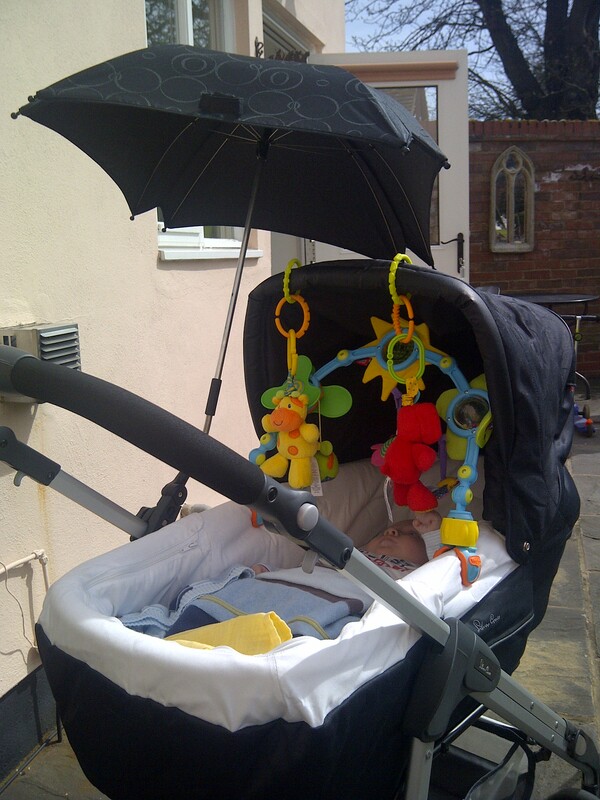 The same rules apply for sun protection (on the beach or by the pool we opt for an all over UV suit for Nathan), and fluids but you have the option of various modes of transport…walking (with or without reins), trike, stroller or pushing dolly in her pram. 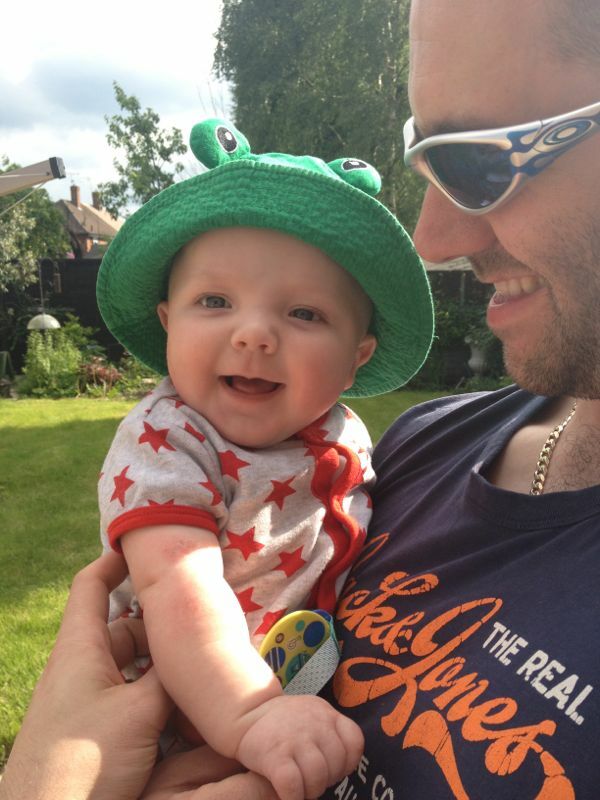 Enjoy the improving weather, for information on holidays in the sun with babies please read Leyton’s Mumma’s advice. We are planning a summer holidays blog too so come back and visit us for that! 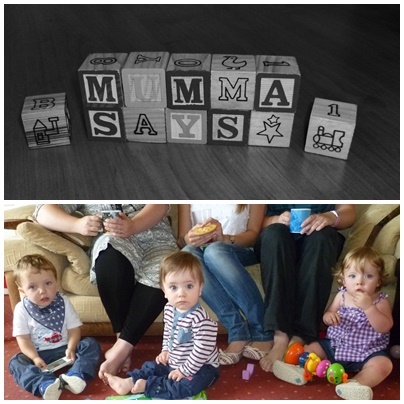 This entry was posted in Babies, Health, Seasonal, Toddlers and tagged fun, garden, outdoor, sun, suncream. Bookmark the permalink.